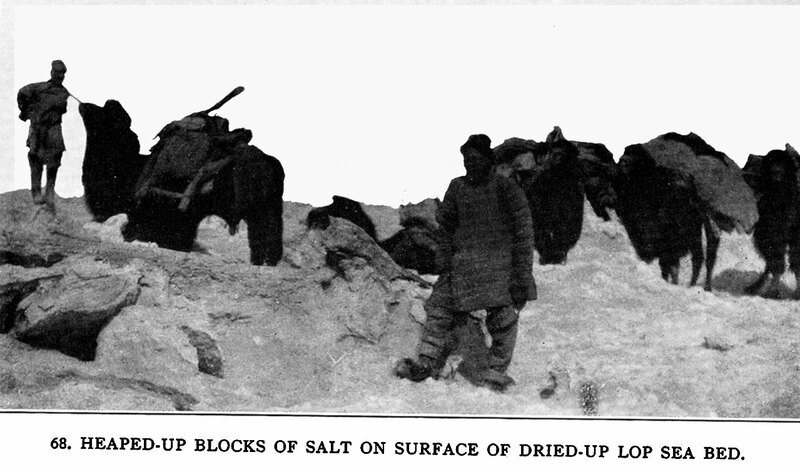 On Central Asian Tracks 68 - Heaped - up blocks of salt on surface of dried-up Lop sea bed. The rough salt surface so damaged the camel's feet that they had to be re-soled with bull hide frequently. This photo made during Stein's dangerous trek from Lou-lan across the salt sea toward Tun-huang as he sought and found the ancient Chinese caravan route.